Dakar, the capital and largest city in SENEGAL, is one of the most important ports of West Africa. The Portuguese landed near the site of modern Dakar in 1444, and several European powers fought over the region until the French gained control in the mid-1600s. The area was originally valued as a source for slaves. After the banning of SLAVERY in 1815, however, the French forced the local population to grow peanuts as a cash crop. For many years Dakar served as the capital of the colony of FRENCH WEST AFRICA. In 1887 some of the city’s inhabitants were granted French citizenship, including the right to vote and to participate in local government as well as representation in the parliament in Paris. During World War II Dakar was first occupied by the pro-German Vichy French government, but American forces captured the city in 1942. Dakar remained the political center of Senegal after the country gained its independence in 1960. 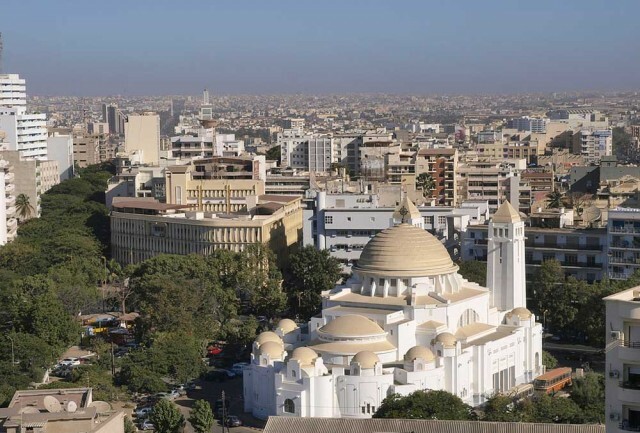 Today this city of about 1.7 million people is home to the University of Dakar, an art museum, and a center for nutritional research. It boasts a thriving port, manufacturing industry, and Senegal’s only international airport. Dakar is also a popular tourist spot. Even so economic growth has stalled and the city is heavily dependent on foreign aid.